Evenings aren’t just for winding down. They’re for adventures too. These activities will have you racing around your city, boogying in an ice rink and climbing walls that move. Seize the night this summer and not just the day. 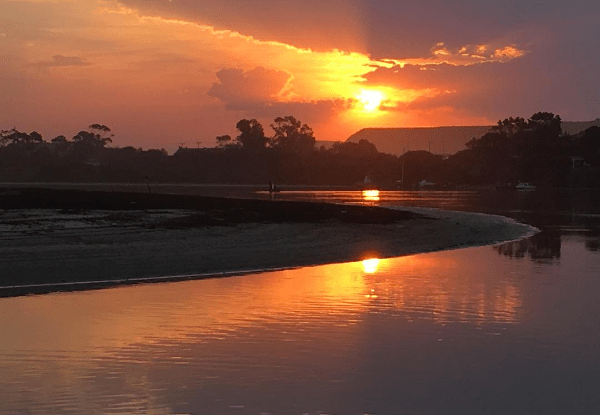 Here are 14 activities you can extend into the evening in Joburg, Cape Town, Durban and Port Elizabeth. A view of Joburg from the Carlton Centre. The Pinnacle in Kenya is set to replace the Carlton Centre as Africa’s tallest building upon its completion in 2019. Photo by Gandhi Square Precinct. 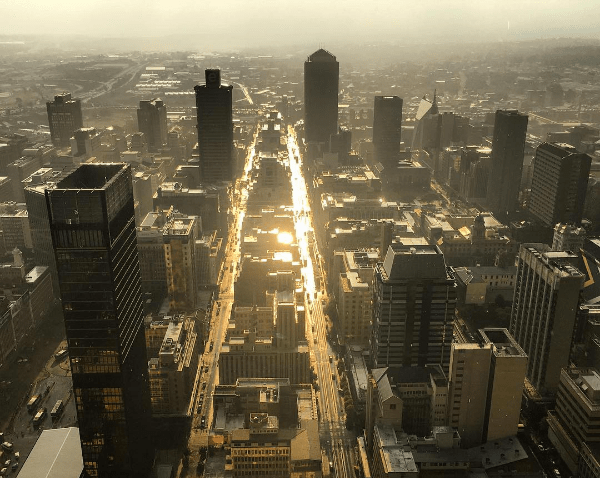 Salute the setting sun from the 50th floor of the Carlton Centre in downtown Joburg for just R15. The elevator journey to the Top of Africa ends in panoramic views of Joburg with the traffic humming 223 metres below you. On-site telescopes also give you a chance to zoom in on the city’s most recognisable landmarks. One of the safest ways to get there is on a City Sightseeing bus, which includes a tour guide to take you around. While it currently houses retail businesses and offices, the Carlton Centre is a historic building that has been around since 1973. It is located on 150 Commissioner Street, Marshalltown. Tel 0113081331. Neon lights are usually for Saturday nights, but they can also be for weeknight adventures. 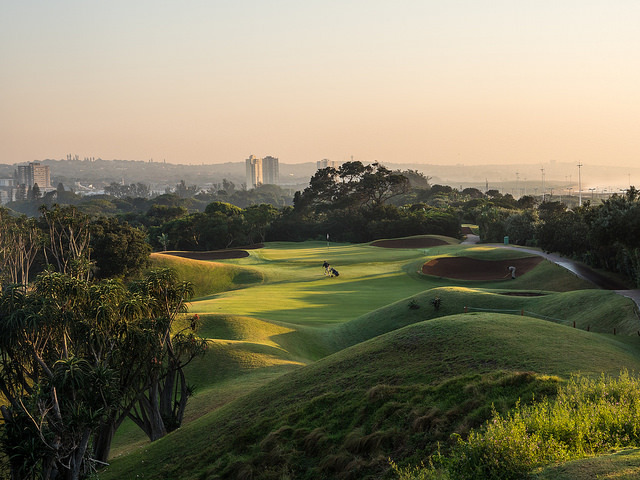 Kinetic hosts monthly night trail runs at either the Country Club Johannesburg in Woodmead, Bryanston Country Club, the Randpark Golf Club, Houghton Golf Club or Parkview Golf Club. There’s an eight-kilometre race that starts at 19:30 and a shorter four-kilometre route that begins at 19:40. The first three runners of either the under 40 or over 40 categories receive vouchers and everyone who finishes the race gets a medal. You must wear a headlamp and they’re sold at registration if you forget. Get a head start by paying R70 before race night (later registration costs R100). For more information and upcoming trail run dates, visit kinetic-events.co.za. Yoga might already be a part of your evening workout session, but how about practising poses under a starry ceiling? The Space Yoga and Fitness Studio hosts a Yoga Under the Stars event involving vinyasa flow under the guidance of guest yogi, Sydney King. Tickets are R220 and the session takes place on 28 October 2017 from 18:00 to 21:30. Stick around for the wine and tapas afterwards. Mats are limited so remember to bring your own. Follow the event on Facebook or call 0729055553. Founded by radio personality and fitness enthusiast, Phindi Gule, the DurbaNite Race is an event that takes place on the last Friday of every month. Wearing bright running gear with glow-in-the-dark accessories is part of the fun, plus DJs and dancers perform as well. Show Durban some love by making it come alive in an energetic and healthy way. The event encourages families to participate and is all about making the city a free and safe space. You can choose to run in either the 5- or 10-kilometre races, which cost R60 and R80 respectively. It’s taking place at Durban Country Club, which starts at 18:00. Tel 0715212546. 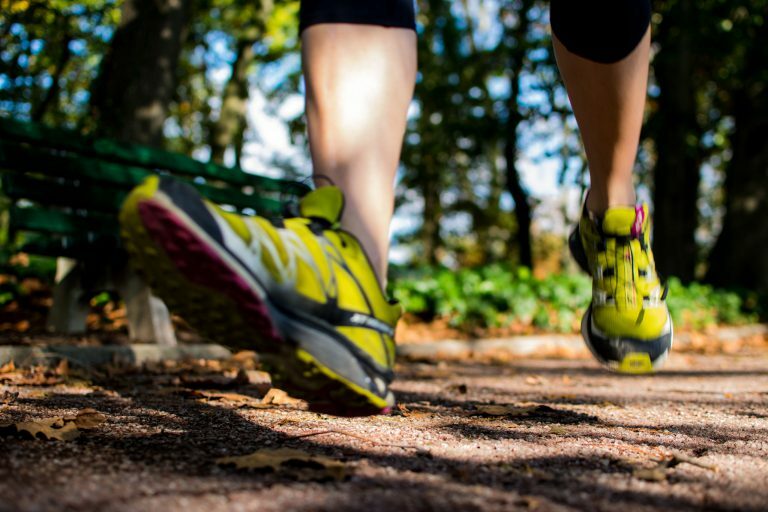 There is less impact on your joints when running on trails compared to running on harder surfaces such as the pavement. Photo by Ludo Rouchy. The Giba Fun Trail Run Series is on the first Wednesday of every month and costs just R10 to participate. If you’re not a member of the park, you will have to pay R30 at the entrance. The race starts at 18:00 and ends at 20:00 at Giba Gorge Mountain Bike Park. Giba also hosts free social night rides which begin at 17:30 and anyone is welcome. Non-members will be charged R60 for their bikes. Remember your headlamps for both activities. Tel 0317691419 or 0794514898 or email info@gibagorge.co.za. Sugar Rush Park in Ballito is a hive of adventurous activity and Laser Rush is one of their coolest offerings. Their spacious outdoor arena and broken down walls will bring out your rivalrous spirit in this laser version of paintball. The laser tag guns have different settings and you can choose to play in teams or on your own. Their normal closing time is 18:00 from Tuesday to Sunday, but they are sometimes open until 20:00. The cost is R65 per person for 30 minutes and R100 per person for an hour. Laser Rush Ballito is in the process of organising a club or league night for adults that will include a braai and drinks. Keep an eye on their social media for announcements or email laserrushballito@gmail.com or Tel 0832335165. The trampoline craze has swept across the world and SA is not being left out. Gravity Indoor Trampoline Park in PE and East London brings adventures of the bouncing kind with interconnected trampolines. Not wild enough?Join the Gravity Dodgeball League from 18:00 to 20:00. It’s R250 per team for six players for a 30-minute game, booking essential. Using the trampolines costs R90 per person for an hour and for kids below eight it’s R70. Open until 19:00 from Mondays to Thursdays (until 21:00 during the school holidays and weekends. For PE email info@gravitype.co.za or Tel 0413602883. The Gravity Indoor Trampoline Park in East London has different prices and hours. It’s R100 per person and R80 per child younger than seven. During school holidays they open until 21:00 from Monday to Saturday and until 19:00 on Sunday. Email info@gravityeastlondon.co.za or Tel 0717102384 0437482767. The Khoisan named the Sundays River, Nukakamma meaning ‘grassy water’ because the banks are consistently grassy and green. Photo by Sundays River Adventures. For R380 per person, take a two and a half hour cruise down the Sundays River. It probably won’t get the heart pumping, but it’s still a daytime activity that you can save for the evening. Plus, who can resist a sunset? You can bring your own food and drinks or order from the Sundays River Ferry menu. Prices will increase to about R420 per person from 1 November 2017 for peak season so try to squeeze in cruise before. Email info@addocruises.co.za or Tel 0414680140. See the Mother City radiate with beauty from the Cape Wheel in the evening. The iconic observation wheel allows you to see Cape Town from 40 metres up on a 10-12 minute ride. It’s a popular daytime activity and is just as exciting at night. Sunset is peak time so make sure you get there before the rush. The Cape Wheel closes at 22:30. Tickets cost R130 for adults and R60 for children. Tel 0214182502 or capewheel.co.za. The people who worked on the interior of Glowing Rooms SA were also involved in The Dark Tower, which was filmed in Cape Town. The film’s props can be seen in the rooms. Photo by Glowing Rooms SA. It’s a new twist on an old favourite and is in Milnerton, Cape Town. Miniature golf meets a glow-in-the-dark space adventure that feels like you’re in a video game. 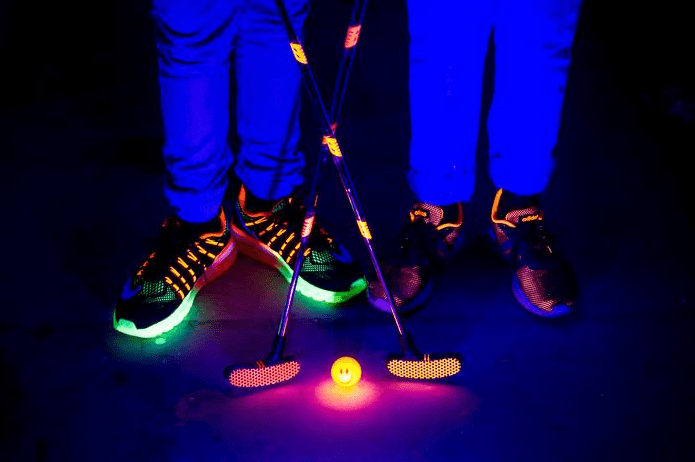 Play the 18-hole course with 3D glasses under UV lights! Glowing Rooms SA is only open on Fridays and Saturdays from 10:00 to 20:00 and costs R130 per person. Tel 0215512244 or email info@glowingrooms.co.za. Forget Lion’s Head. 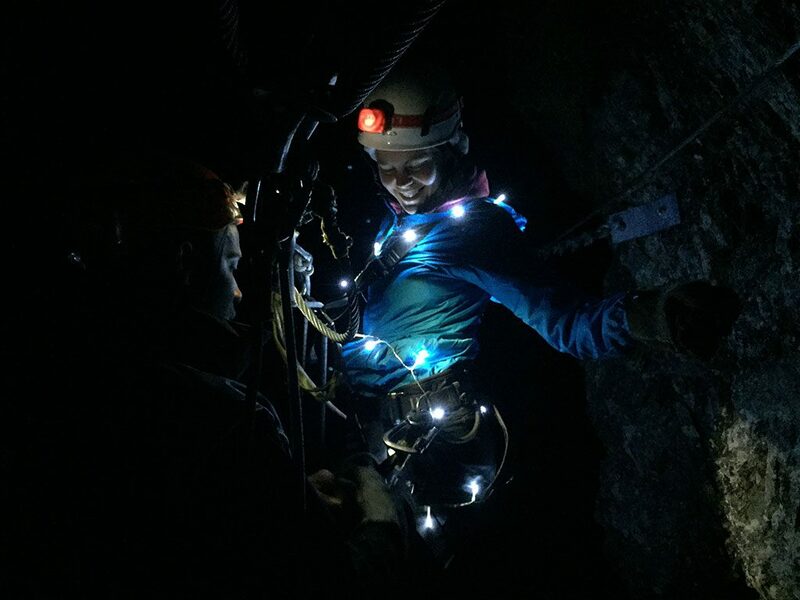 Head to Stellies for the Delvera Full Moon Hikes at Dirtopia. The 9,75 kilometre hike takes you through an indigenous yellowwood forest to the top of Klapmutskop which is part of the Greater Simonsberg Conservancy. The hike starts at sunset which means that you can still marvel at the Winelands and, if it’s clear, even Table Mountain. Vehicles are available to transport children and the elderly from the Pepper Tree, which is approximately halfway to the top. It’s R100 per adult and R50 for children under 10. You’re sure to be hungry after the hike so bring along your own picnic basket or get one for R80 from the organisers. The hike starts at 17:45 and you need to book a spot. Email info@dirtopia.co.za or Tel 0218844752. Durban’s beloved ice rink was built in 1955 and has historic significance. It was recently renovated to Olympic-size and is now a world-class facility that draws many tourists. Photo by Durban Ice Arena. 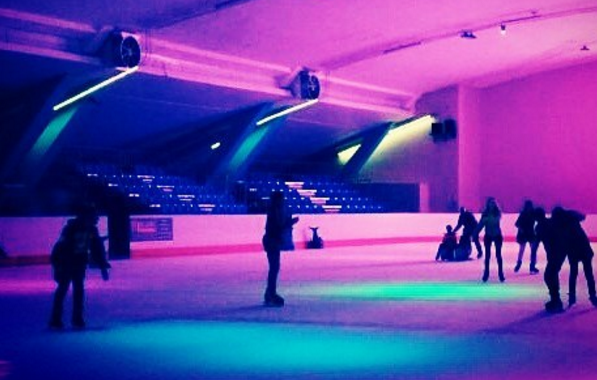 Skate to your heart’s content at the Durban Ice Arena during their disco sessions every Friday and Saturday night. The sessions are from 19:00 to 10:30 and entrance is R50 per person. Tel 0313324597. The Northgate Ice Rink in Northriding, Joburg also has evening sessions from 19:30 to 22:30 from Sunday to Thursday and until 23:00 on Friday and Saturday. Their half-price sessions are every Tuesday. The entrance fee is R75 and you can hire skates for R35. Tel 0117948706. The ice rink in Baywest Mall, Port Elizabeth also has evening sessions from 19:30 to 22:30. The entrance fee is R75 and skate hire is R35. Tel 0414920318. Ever seen a grumpy roller skater? Neither have we. Roll Egoli in Bryanston has sessions until 21:00 on Friday and Saturday and they have an old-school mirror ball. If you’ve been dying to show off your dance moves on roller skates, this is the place to do it. It costs R75 for a three-hour session and R35 to hire skates for individuals. For groups of 10 or more it’s R85 per person and for groups of 20 or more, it’s R80 with skate hire included in the fee. Tel 0832329861 or email info@rollegoli.co.za. Climbing is a new addition to the Olympics and climbers will be able to compete in Tokyo 2020. Photo by CityROCK CPT. City ROCK has branches in Cape Town and Joburg and their climbing facilities accommodate people with varied levels of climbing experience. 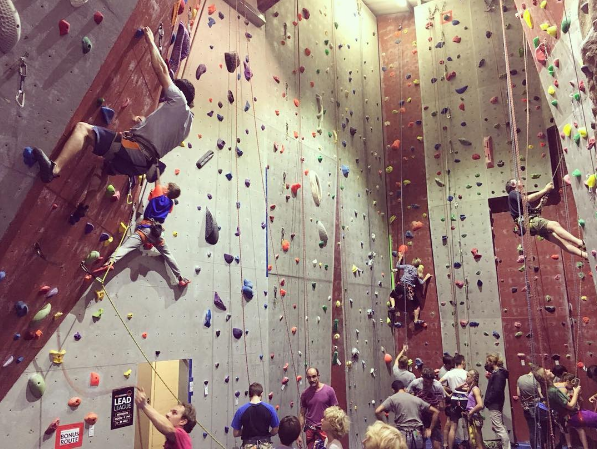 Challenge yourself with their top rope and lead climbing, automatic belay walls and their bouldering areas. City ROCK Cape Town will be relocating to Paarden Eiland in December 2017 so look out for details on their website. If you’re in Durban, head to the Southern Rock Climbing Centre in New Germany and try out their treadwall, a rotating climbing wall that’s sure to give you a workout. You can control speeds and adjust the angle from an overhanging to a vertical angle. They close at 21:00 on Mondays and Wednesdays and at 22:00 on Tuesdays and Thursdays. A day pass for adults is R110 and R80 for scholars. Tel 0317053842. Every Thursday night, the Maboneng City Cyclists get together and take to the Johannesburg streets on their bicycles. The meeting point is outside Love Revo at 17:00 and the cycling starts at 19:00. If you’re in Durban, Bike and Bean also has you covered and will be open until 18:00 from 1 October for the summer. Bike hire is R50 per hour and your deposit is an ID or Driver’s Licence. Don’t forget to sit down for a delicious cup of their single origin Africa coffee. Tel 0820657096. Every Thursday, Curiocity Hostels in Durban’s trendy Rivertown Triangle has a night cycle that takes you through the city and the beachfront. The cycle begins at 18:30 and is R200. 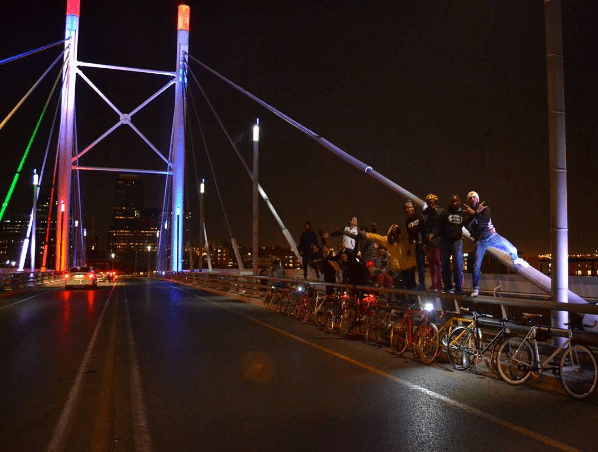 In Cape Town, Moonlightmass is a monthly event hosted by Critical Mass Cape Town, a movement that aims to encourage the use of bicycles in cities. The event is from 20:00 until 23:00 so you can spend all evening admiring the nighttime cityscape. An outing is planned for each full moon. The next dates for 2017 are 5 October, 4 November and 3 December. Enjoy the unique rush of ziplining through the mountains by moonlight on a Cape Canopy Tour. The adventure starts with a light meal at base before heading up into the magnificent Kogelberg Biosphere where you’ll be treated to spectacular views as the sun sets. Once dark, it’s headlamps on (you need to bring your won) and it’s time to speed through the darkness beneath a dome of stars. The tour consists of eleven thrilling slides, some over 300m long, each ending on a platform constructed on the cliffs and fynbos covered mountain slopes above the Riviersonderend Gorge. This is surely a great way to get some summer thrills! The tour costs R895, starts at 18:00 and is only available on these upcoming Saturdays: 4 November, 2 December or 3 February 2018. The tour takes roughly four hours and you should be down the mountain by 22:00. Posted on 02/06/2018 by Nandi Thembela	This entry was posted in Getaway Magazine, Uncategorized. Bookmark the permalink.